It's not easy being a girl, so here are some helpful tricks for getting you through those glitches. 1. Use Popsicle sticks as motivation to work out. 2. Here's how to make your own workout shirt. 3. Fancify your cheap flip flops with some ribbon and beads. 4. Tie a ribbon around your feet and then slip on some flats to one-up a simple look. 5. Use a hair dryer to help break in some flats. 6. Use beeswax to waterproof your shoes. 7. Use nail polish to color the soles of your shoes. 8. Make some clever, colorful sandals with leftover fabric. 9. Cut the toes off some old wool socks to up your boot game. 10. Use old hangers to easily store sandals. 11. And use crown molding to conveniently store heels. 12. Use glitter and glue to repair shoes. 13. Dry delicate tops in a salad spinner. 14. Make your own t-shirt vest. 15. Add an extra flair to your outfits by weaving your t-shirts. 16. Here are 12 ways to tie a scarf. 17. Ever want to make a sundress out of a t-shirt? 18. Rid yourself of armpit stains with a mixture of peroxide and soap. 19. 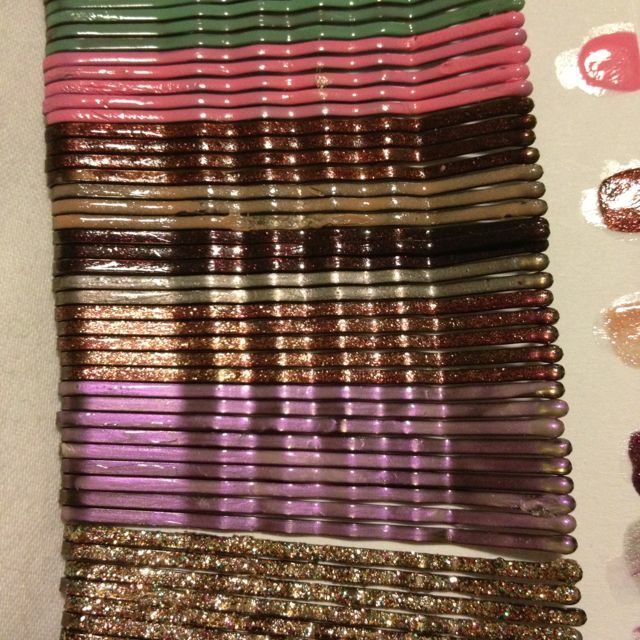 Add style to your hairdo with some nail-polish-painted bobby pins. 20. Give yourself that perfect beach hair with this homemade spray. 21. Use the link from a keychain to keep your pant's zipper hidden. 22. Don't be afraid to dye your stockings. 23. Add some lace to the bottom of your jeans for a classy look. 24. And here's how you turn pants into shorts. 25. Leave your jeans overnight in the freezer to make them smell better. 26. Here's how you make a DIY skirt. 30. Here's how you get longer-lasting lipstick. 31. And here's your eye makeup cheat sheet.